Hello guys, we hope that you must be anticipating and here we are again bringing before you something you would love to read about and also it is for all those designers who were and are looking for mockup of this sort. Well in order to meet the demands of time, we get our feet running around with the flow. We don’t want to look any less than a renowned person having a big bank balance at disposal and a profession that gives respect and recognition. These are pipe dreams of many, let us throw caution to the winds and allow destiny to do its magic. Let us be a little more aware than usual and adopt the norms of time. The good way out of the anxiety now a days is to get oneself busy, and when you are into so many things you hardly get time to be anxious or upset. On the professional front, there are many tasks to do especially if you are a designer, there are heaps of expectations from you so what do you do to keep yourself motivated? Do you ask for an expert advice or do you read words of wisdom, do you have a friend who boosts your morale or someone who is there for your beck and call? Keep yourself guarded and standardized so you do better in personal and professional life. Here let’s talk about Apple’s newly launched iPad which is breathtaking without a doubt. Apple is one of those leading banners that surprises us all through the year. With its iPhones, iPad and MacBook & what not? 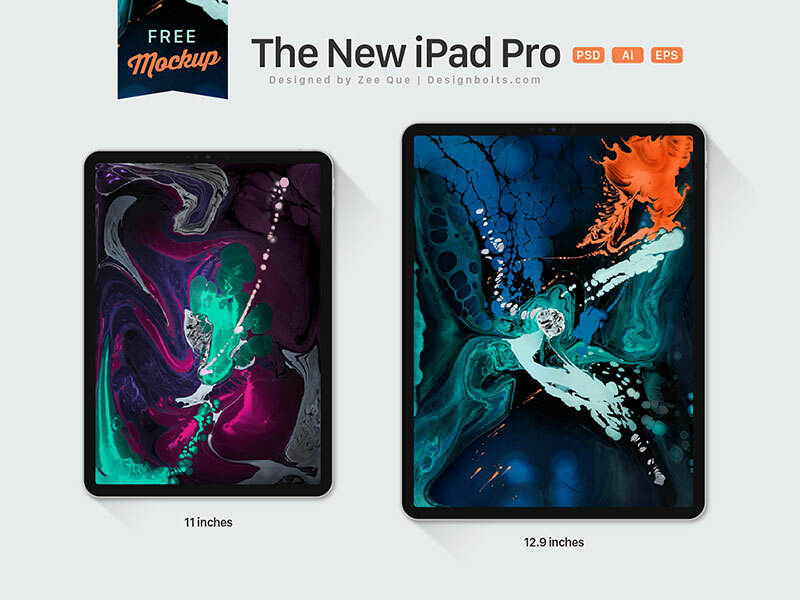 Well first things first, if you are someone who wants an upgrade then this stylish piece of iPad is certainly made for you. It is stunning in its appeal and with such a wider screen, the world becomes bigger in itself. The world’s most advanced 10.5 inch display makes the experience world’s class. It is even more active than any laptop or PC. Certainly made for multitasking. Apple pencil experience is even smoother than anything else around, it gives a very clear and responsive touch to the iPad’s screen. There are so many things yet to cover. Head towards the Apple site to find out. Till then you can glare at the new Apple iPad Pro all screen Mockup. You can use this mockup on your blog to display an image or app. Or it can be used for a presentation before your client. Stay tuned for more tech collection and art/design feed in future.